Fall in love with the luxury and charm of your new home at The Heights Apartments. 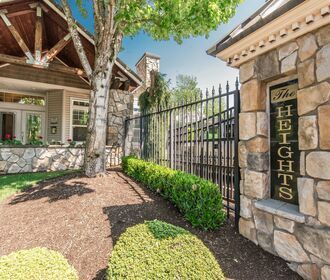 Located in Puyallup, WA The Heights Apartments is tucked away from big city life offering quiet and peaceful residential. However, you will never find yourself too far from dining and convenient shopping locations. Offering newly renovated 1, 2 and 3 bedroom homes, The Heights Apartments offers you all of the desirable amenities and more. 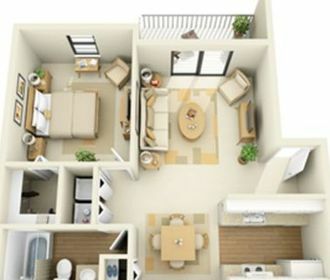 Remodeled homes include kitchens featuring beautiful stained wood cabinets, all modern stainless steel matching appliances, garbage disposal, dishwasher and microwave. The living room will be adorned with a fireplace and ceiling fan. Each home also comes with a private balcony or patio. 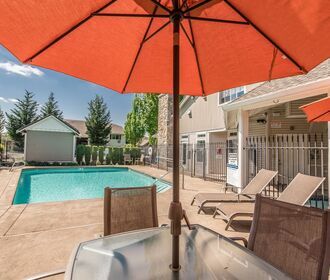 Community amenities include a beautiful cabana, playground, spa, fitness center and a seasonal pool. The Heights Apartments is a pet friendly community; please refer to our pet policy to ensure that your furry companion meets our guidelines. Don't miss out on these amazing homes! Call to schedule a tour today! Apply online with our new online leasing program!